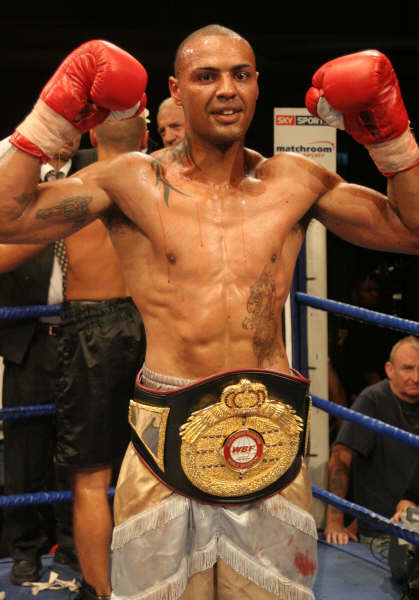 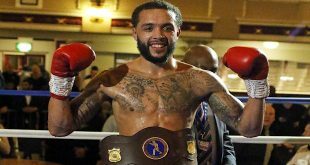 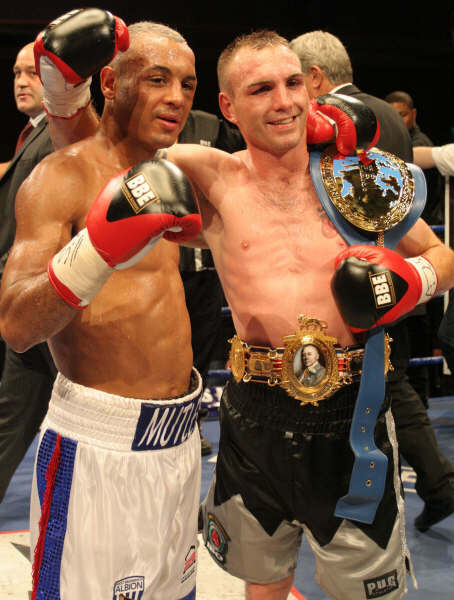 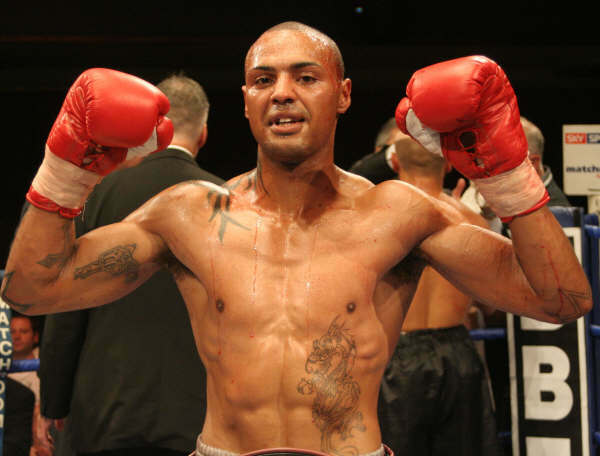 There was a fantastic atmosphere at Civic Hall in Wolverhampton, England on Friday night as Colin Lynes of Hornchurch faced Young Mutley of West Bromwich for the British and vacant European Light Welterweight titles. 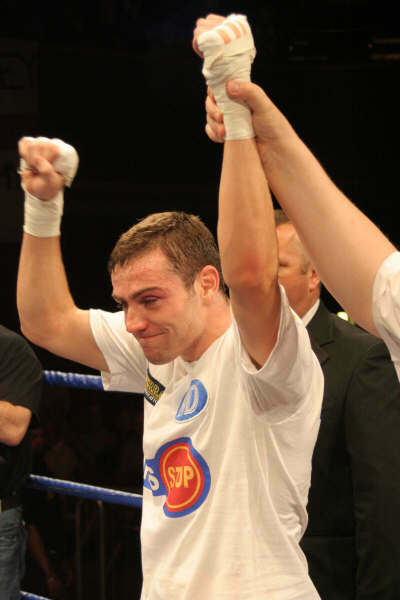 The fightnight, promoted by Matchroom Sports, also featured Birmingham's Matthew Macklin versus Ukrainian Anatoliy Udalov in a scheduled eight round middleweight contest. 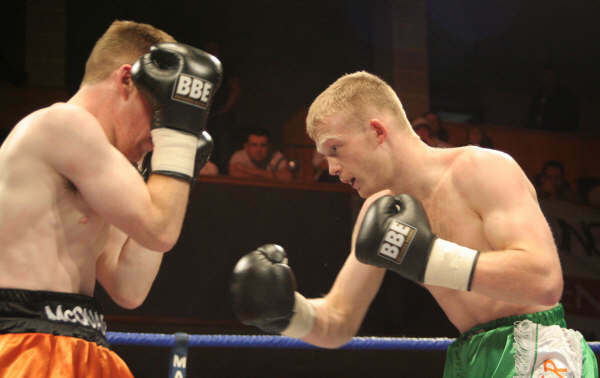 There was huge noisy support for local boy Lee Woodley, aka Young Mutley from the Black Country (the term “Black Country’ relates to the coal mining industry in the area years ago) crowd as he entered the ring. 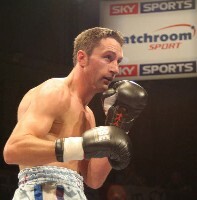 The former British Welterweight Champion looked focussed and mean as he waited in the ring for Colin Lynes. 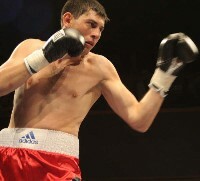 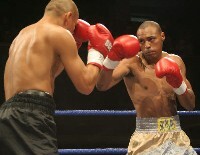 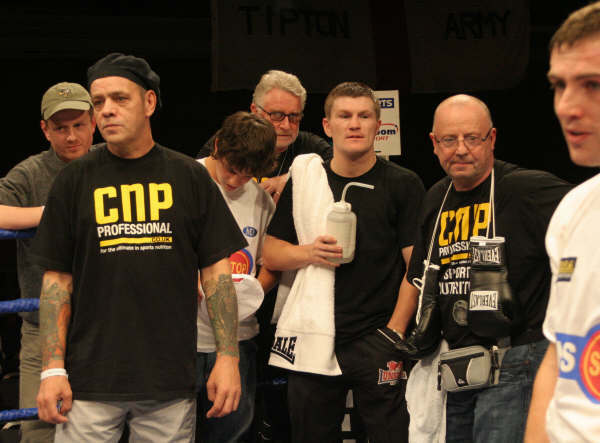 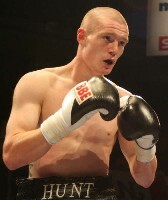 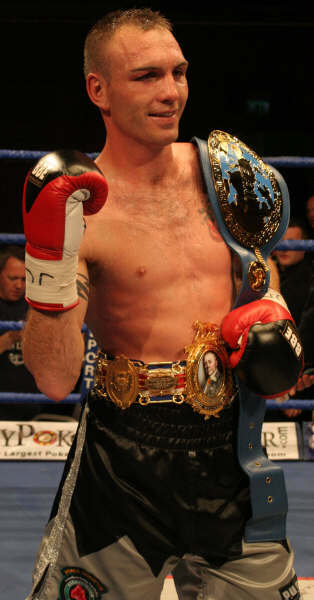 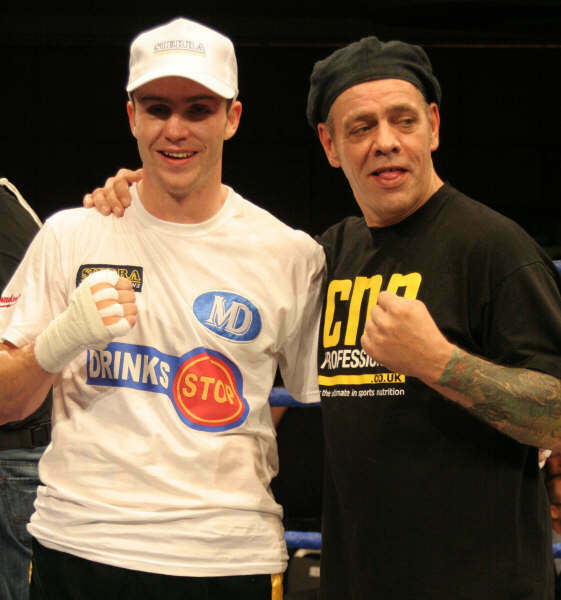 Reigning British Light Welter Champ Lynes dominated the first round as Mutley struggled to settle in to the fight. 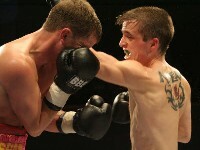 Playing the smarter fight, Lynes chipped away with irritating little jabs that Mutley didn’t avoid. 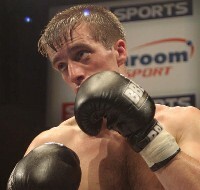 As he walked back to his corner at the end of the first, Mutley shook his head in frustration. 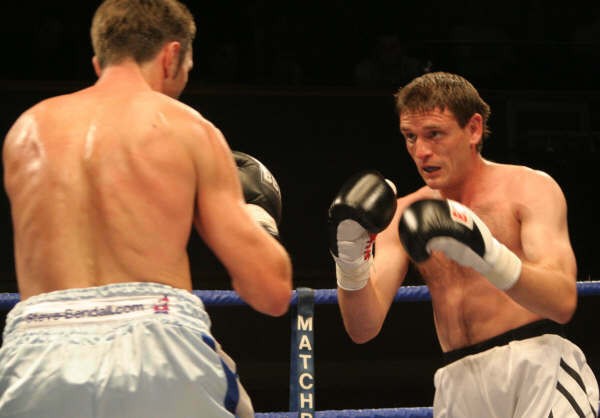 “Come on, Mutley, Come on Mutleyâ€¦..” the crowd chanted at the start of round two. 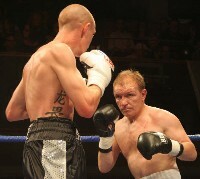 It’s a better round for Mutley as he starts to settle in to the fight. Round three and Mutley seems to be looking for the big shot. 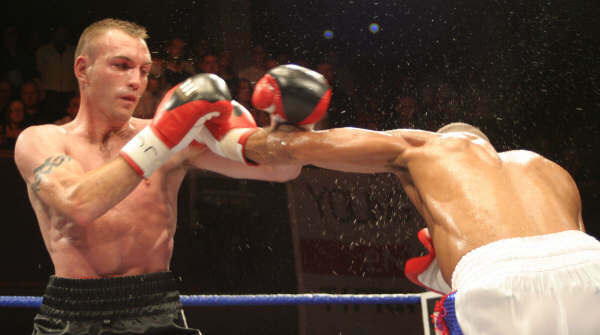 He’s landing some punches of his own, but gets caught on the way in. 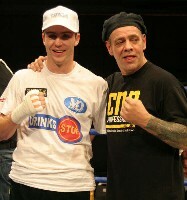 Lynes looks the more polished of the two men. 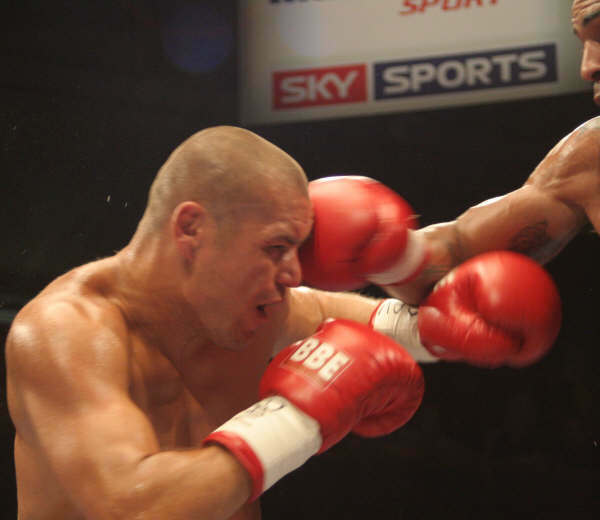 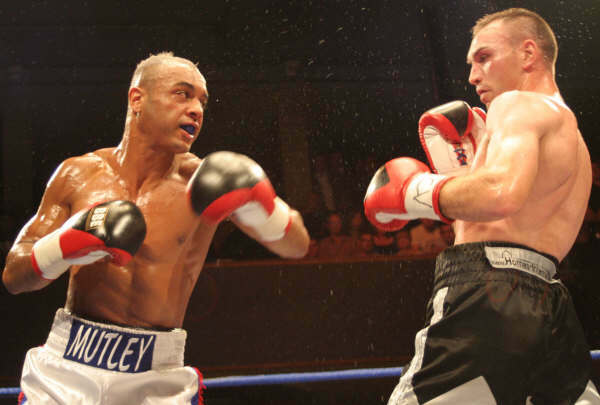 The crowd cheer as Mutley lands a swinging left hook but Lynes comes back with a right hand to the temple of Mutley, which had more effect than Mutleys’ shot on Lynes. 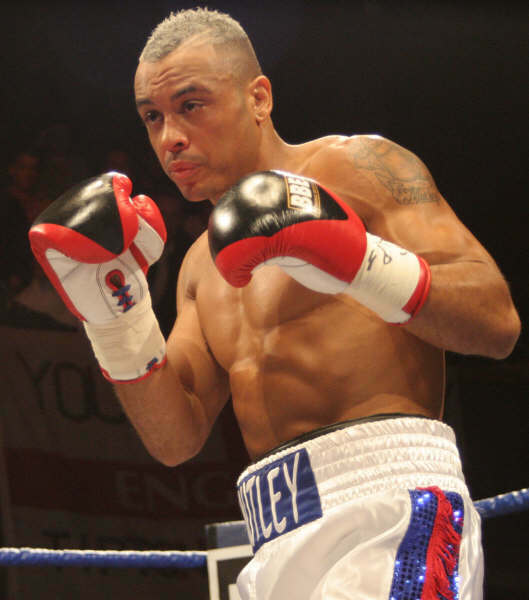 “We are the boys from the Black Countryâ€¦..” the crowd sing as the boxers come out for the fourth round. 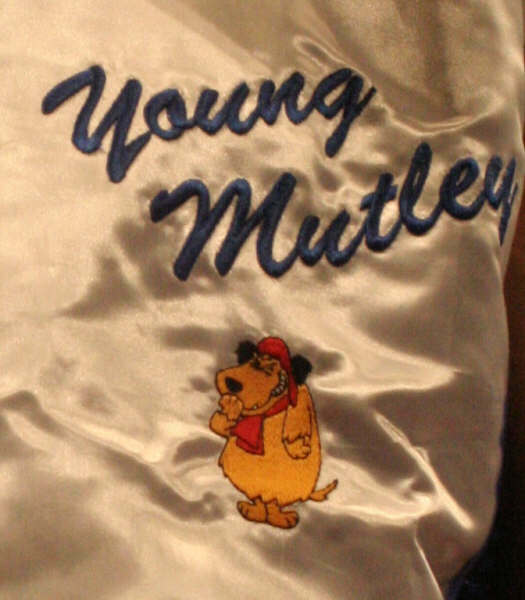 But rather than being uplifted by the fans, Mutley seems uncomfortable in the ring, like he’s not sure what to do. 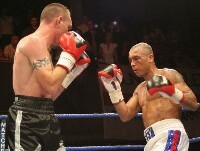 His defence is quite open at times and he’s being caught by silly shots. 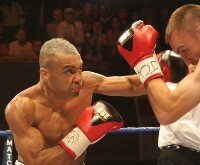 Lynes is accurate as he lands a couple of left hooks in the last 30 seconds of the round. 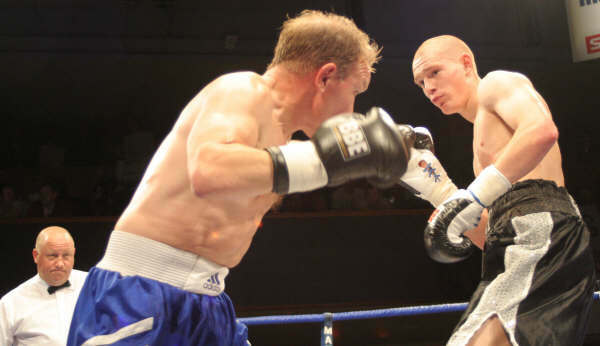 Round five and now the crowd are singing for Colin Lynes, but with just over a minute of the round to go, Mutley makes an impression when he catches his opponent with a left as they let go a number of punches and Lynes is backed up to the ropes. 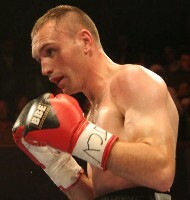 The Mutley crowd are on their feet now as they are spurred on by his efforts. Mutley throws swinging lefts and rights which miss their mark. 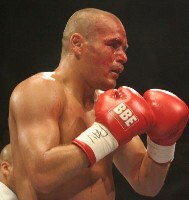 There’s a graze under Mutleys’ left eye as he returns to his corner at the end of the round. 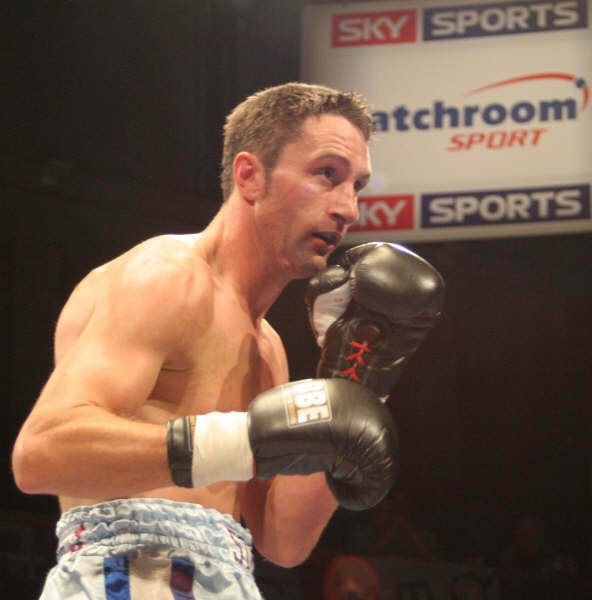 “Have more confidenceâ€¦” his corner tells him as he comes out for the sixth. Mutley flinches at every jab that Lynes lands and he looks fed up as he comes out for the eighth round; his left eye now noticeably marked up. 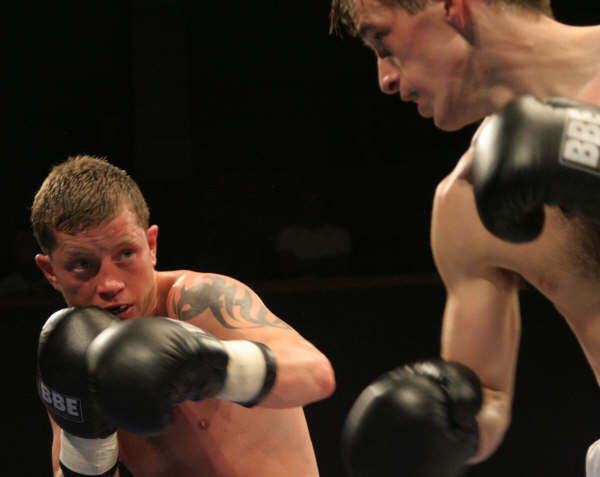 Lynes continues to look sharp and after 40 seconds of the round, Mutley wobbles as Lynes lands a left followed by a right. Lynes continues to throw shots as Mutley’s knee touches the canvas and he hangs on to the ropes. 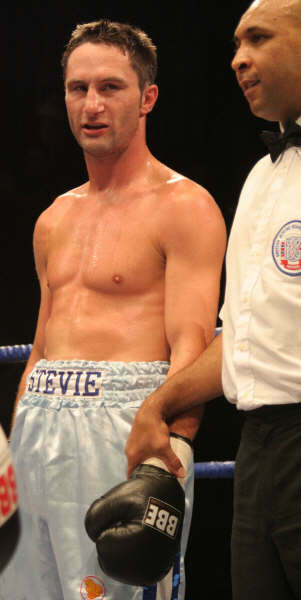 He is up straight away but takes the count from referee Richie Davies. Further shots from Lynes culminating in a big left and right sends Mutley to the canvas and Richie Davies quickly steps in to protect Mutley, who is on the canvas. 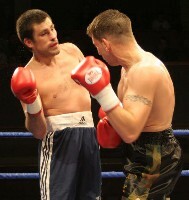 Richie Davies waves off the end of the contest and an exhausted Mutley is helped to his feet. 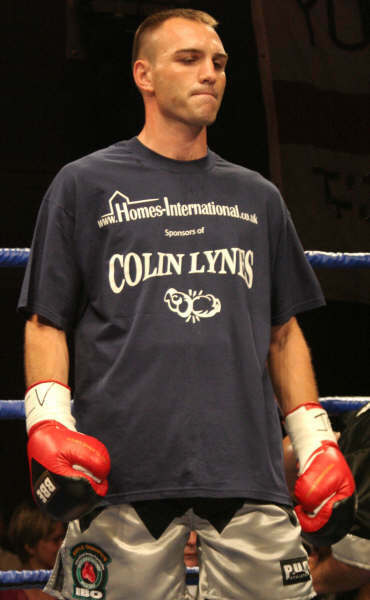 Newly crowned European Light Welter Champion Colin Lynes improves to 30-3 (12), and has a brand new belt to add to the British title already in his trophy cabinet. 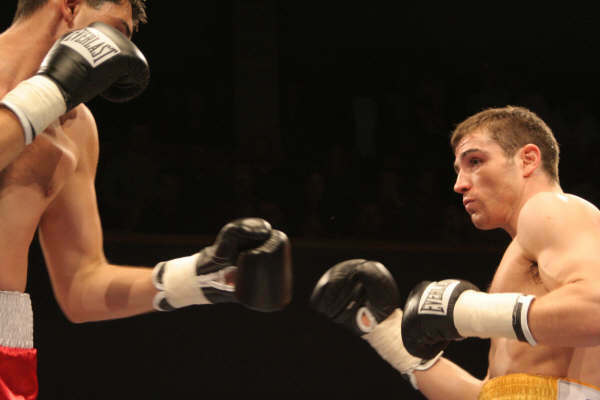 Lynes gave credit to Young Mutley, who falls to 22-3 (12), but talked of his own self belief. 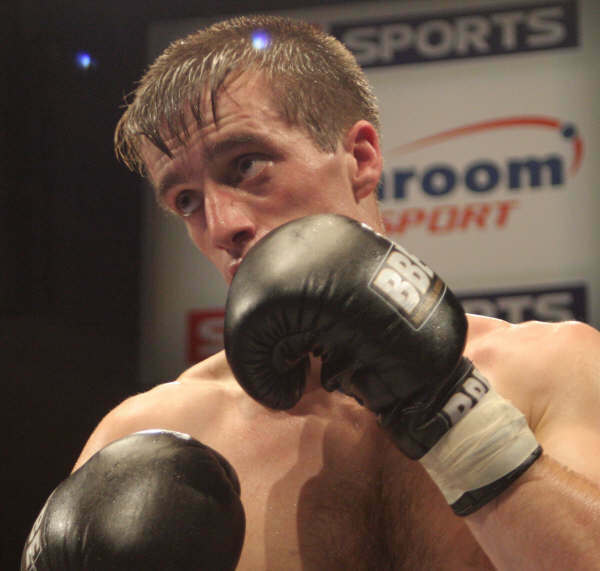 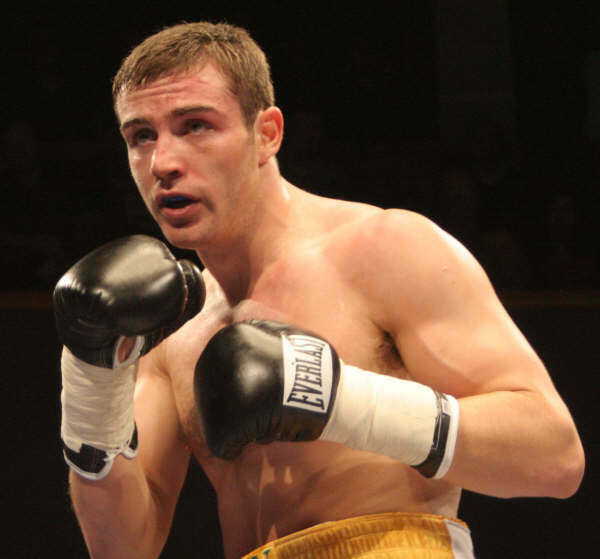 On the undercard, former British Light Middle title challenger Matthew Macklin entered the ring for his fight with Ukrainian veteran Anatoliy Udalov with Billy Graham, Kerry Kayes, Mick Williamson along with Ring Magazine Light Welterweight Champion Ricky Hatton. It’s a fast start to the round as Macklin, looking fresh and confident, starts to work on his Ukrainian opponent. 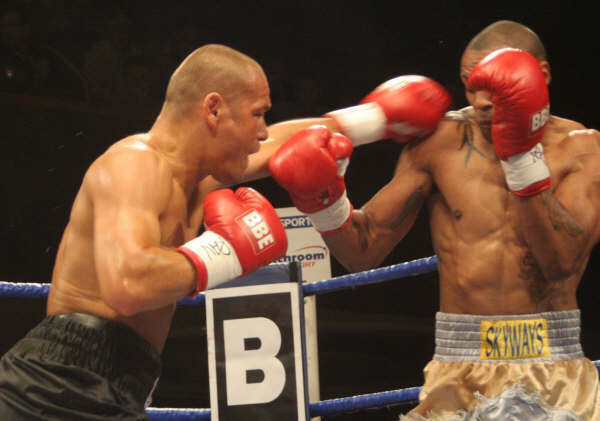 He throws a variety of shots and Udalov immediately looks out of his depth. His head rocks back from the left jabs that Macklin throws. 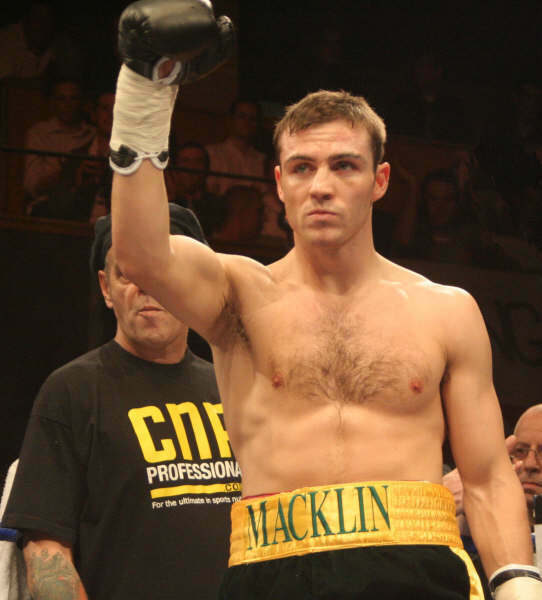 With 48 seconds of the first round to go, Macklin lands a powerful right punch to the left of the Ukrainian's face and Udalov falls back hard on the canvas. 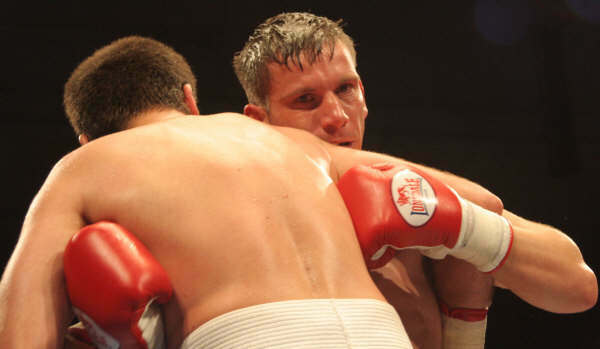 Crouched on the floor, Udalov, 9-3 (2), got up after the count to take the knockout loss. 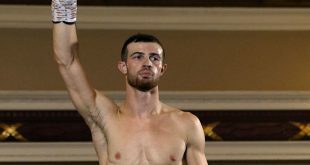 Afterwards, a jubilant Macklin, 18-4 (14), talked about being comfortable at middleweight and said he was looking to keep busy in the ring between now and Christmas. 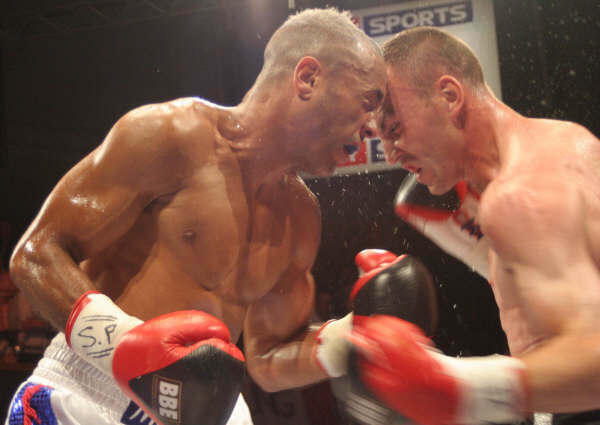 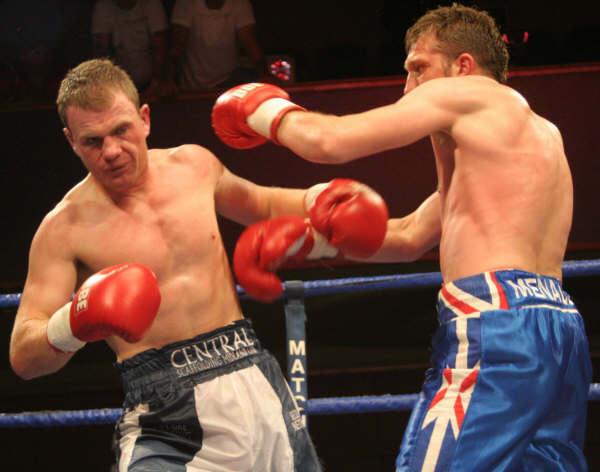 In other action, West Bromwich light middle Marcus Portman, 17-5 (3), shocked reigning WBF Light Middleweight titlist Jozsef Matolcsi, 26-10 (18), when the Hungarian couldn't continue in the sixth round due to a bad cut. 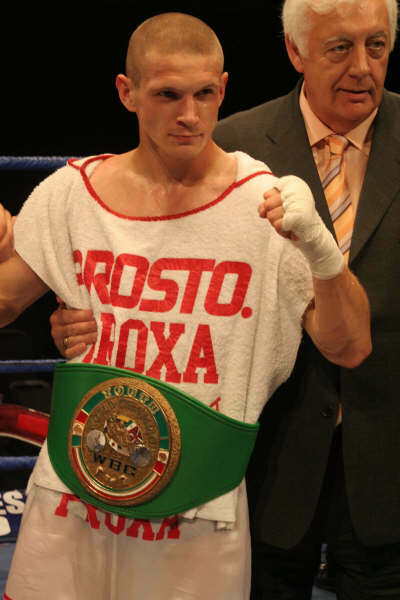 Poland's Grzegorz Proksa, 11-0 (7), retained his WBC/IBF Youth Middleweight titles by stopping Romanian novice Vitali Banivur, 4-3 (3), in the fourth. 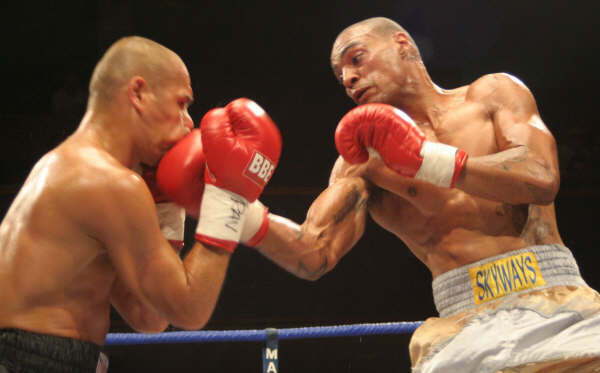 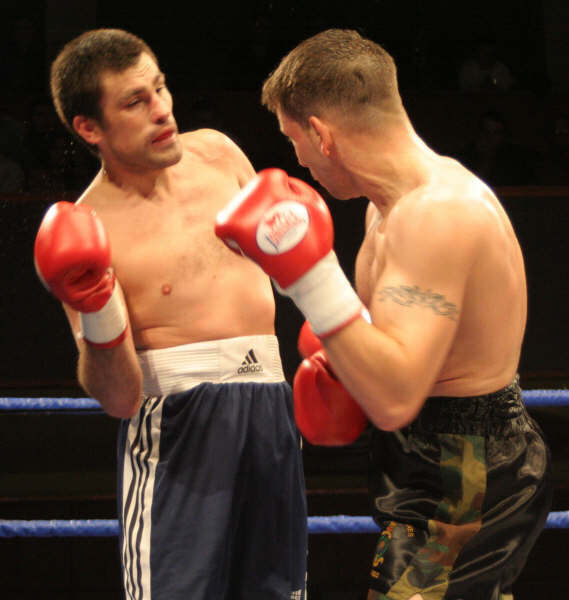 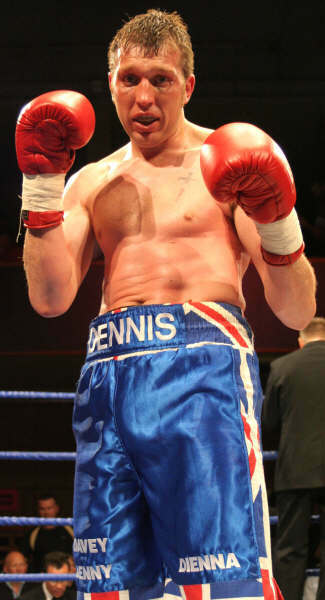 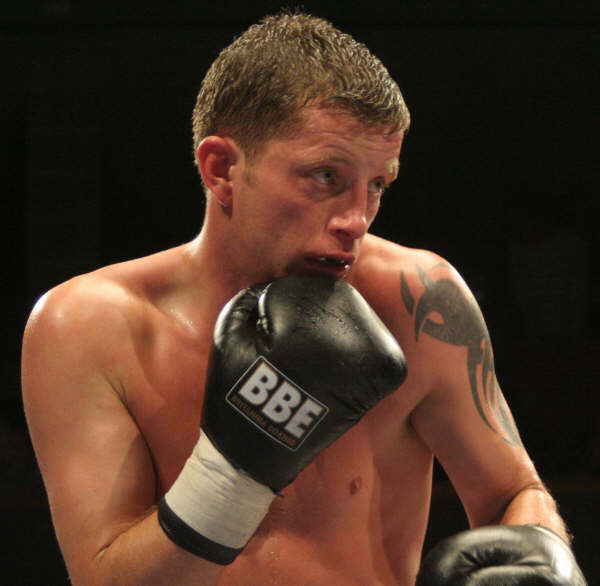 Ex-European middleweight title challenger Steve Bendall, 26-3 (12), of Coventry stayed busy with a second round win over Scunthorpe battler Davey Jones, 8-9 (0), who could not continue after breaking a hand. 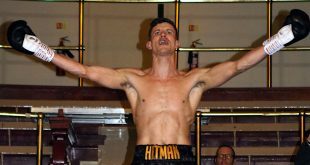 Welsh featherweight prospect Ricky Owen, 6-0 (2), stayed on course with a fifth round stoppage over Birmingham's seasoned Anthony Hanna, 20-72 (6). 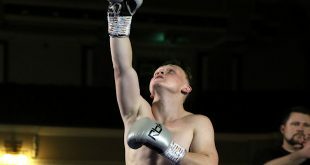 Darlaston hot shot southpaw Stuart Elwell, 10-1 (1), bounced back from a vacant English Welter title fight loss to John O'Donnell by outpointing light middle Alexander Matviechuk, 8-18 (1), of the Ukraine. 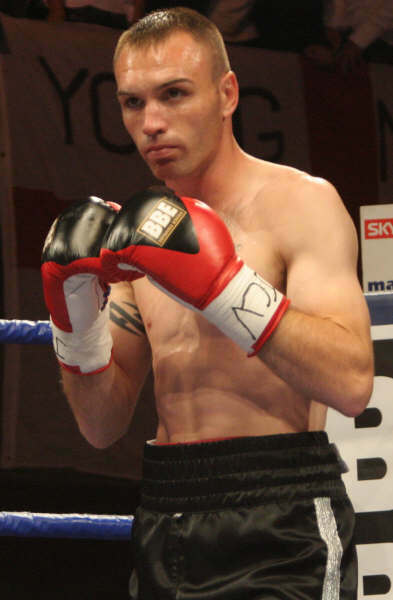 Lightweight novices went at it for four rounds with Chester's Kevin Buckley, 3-0 (0), outpointing Peterborough's Tony McQuade, 2-2 (0). 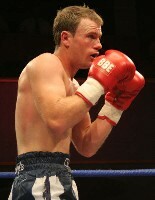 West Brom middle Wayne Downing, 3-5 (0), stopped Nottingham's Dennis Corpe, 2-3 (1), in the third during a rematch between the two. 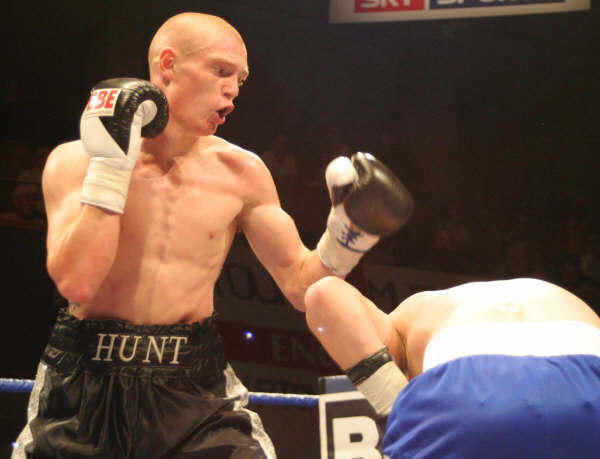 Light welter prospect Rob Hunt, 6-0 (1), of Stafford outpointed Birmingham Centurion Karl Taylor, 16-101 (30), over four rounds.